Dr. Elizabeth Nyman is an academic and writer who specializes in international maritime issues. Currently she is an Assistant Professor of Political Science and Maritime Studies Coordinator at Texas A&M University at Galveston. She has a Ph.D. in political science from Florida State University, and a BA in international relations from the College of William and Mary. Dr. Sandra Cassotta is an Associate Professor in International Environmental Law at the Department of Law at Aalborg University, Denmark. Her expertise is on environmental regime effectiveness in a multi-level governance perspective. Included in her areas of interests are human rights, law of the sea (UNCLOS), and environmental security (particularly that of the Arctic Ocean), Energy Security and Geopolitics. Professor Arne Eide's research interests are resource economics, population dynamics, third world fisheries, global warming impact, and cellular automata modelling. Oran Young is a renowned Arctic expert and a world leader in the fields of international governance and environmental institutions. His scientific work encompasses both basic research focusing on collective choice and social institutions, and applied research dealing with issues pertaining to international environmental governance and the Arctic as an international region. 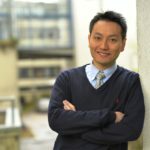 William Cheung is an Associate Professor with the University of British Columbia's Changing Ocean Research Unit and Director (Science) of the NF-UBC Nereus Program. His main research focus is assessing impacts of fishing and climate change on marine ecosystems and their goods and services, and studying ways to reconcile trade-offs in their management.